Electricity, if not the most important, is one of the most essential necessities for us to carry out our daily activities. It powers everything in our homes, offices, and even cars. 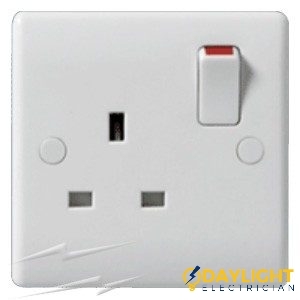 It is known that every room in a house should have at least one power socket to be used by appliances, even if it’s left vacant. Afterall, you never know when it will be needed. 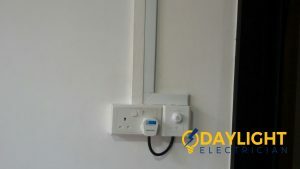 At Daylight Electrician Singapore, we understand the importance of getting quality power socket installations and other electrical services done in order to make your living and work space more comfortable and convenient. Can You Fix Power Point Problems by Yourself? 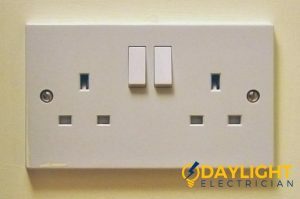 Not only are faulty power sockets unavoidable, but it is also often troublesome especially when there is an electrical appliance to be used. Sometimes, Singapore electrical sockets just stop working for no reason. However, it is important to be aware that this is usually an indication of electrical wiring issues. Just replacing the electrical outlet may not solve the problem entirely and you may need to have complete rewiring of your electrical switch done before it triggers a shock or fire hazard. This is why it is essential to work with a reliable electrician in Singapore in order to avoid such wiring mistakes. 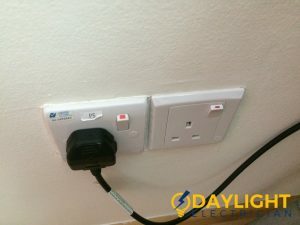 Can You Fix Power Socket Problems By Yourself? Circuit breaker: Try turning the breaker off and then on after a while. If you are not sure which circuit breaker is faulty, turn them all off and one to see which one is bad. Ground fault: This is commonly caused by water damage and most times, clears after it dries completely. 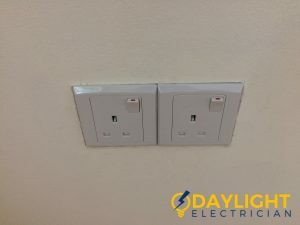 If more than one power point has an issue or the problems persist after a week, call a certified electrician in Singapore to help you with it. 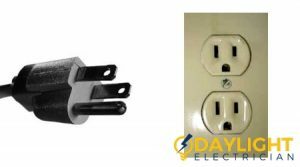 Worn and broken electrical power points: We see this often when replacing power points or installing new power points in old homes. Every use weakens a power point gradually and they would need to be replaced after a while. 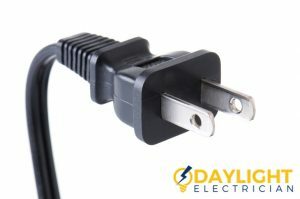 Loose or broken wires: If a power point installation is not properly done, wires will begin to loosen up and eventually get disconnected. 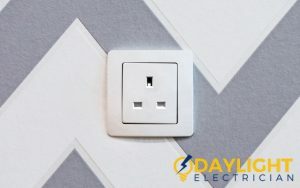 If the wires of the power point are loose, it may cause poor contact which would lead to overheating and possibly a fire hazard. You might only be familiar with one or two electrical outlets being used in Singapore. However, there are many types of electrical outlets around the world that you should also be aware of. 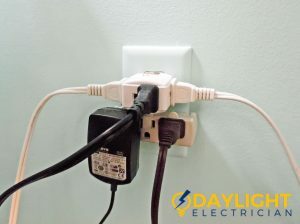 This is especially important when you travel overseas where a different type of electrical outlet is used. Type G: This has a standard voltage of 230 V and its normal frequency is 50 Hz. 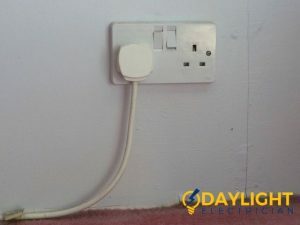 Originally, it was designed by electrical engineers from the UK and thus, can be used only with a certain UK plug type. 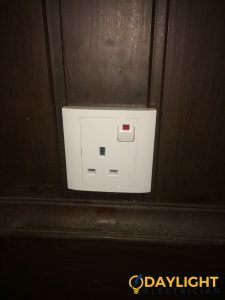 The type G socket’s voltage and frequency match the ones used in Singapore, which are more or less similar to many other countries in the world including Australia, the UK, and numbers of Asian, African and European countries. This particular 13A plug has 3 pins and is grounded. Type C: Another type of plug is the type C plug that has 2 pins and requires an electrical current of 2.5A. Remember that electrical appliances can only be plugged into an electrical outlet that is compatible with this specific type. This type of plug is not grounded and thus, should be used with extra caution. Type A: In the United States, Canada, Mexico, and even Japan, a type A plus is mainly used. 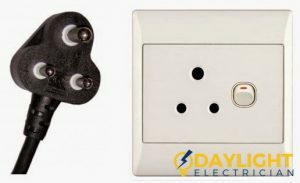 It is a 2-pin plug that is not grounded and always has the capability to carry an electrical voltage of 100 – 127 V. An electrical outlet that is Type A should only be used with this type of plug as not only does it fit perfectly, but it also has the capacity of carrying an electrical current of 15A. Type B: Another type of power plug popularly used in the USA, Canada, Mexico and Japan is the 3-pin type B plug. Compared to type A plugs, this specific type of plug is grounded and hence, safer to use. It is able to carry an electrical current of 15A and a voltage of 100 – 127V, just like type A plugs. Thus, both electrical outlets that are type A and B are compatible for use with these plugs. Type D: In India, the type D grounded plug that has 3 pins is mainly used. 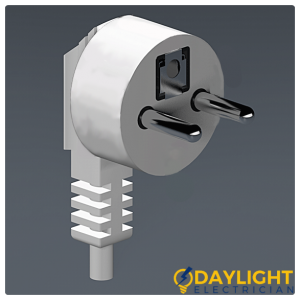 Similarly, a type D power plug adapter is mostly used with this plug. However, some people also try to use it with electrical outlets of types C, E and F because of their similarities. Do note that this type of plus can only carry an electric current of 5A and a standard voltage of 220 – 240V. Type E: Moving on, we have the type E 2-pin plug that has a standard voltage capacity of 220 – 240V. 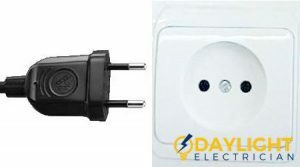 This grounded plug can carry an electrical current of 16A and is also compatible with electrical outlets of type C and F. This type of plug is mainly used in different European countries, like France, Belgium, and Poland. Type I: Lastly, we have the type I plug that has 2 or 3 pins. It can carry an electrical current of 10A and a standard voltage of 220 – 240V. Take note that unlike the 3-pin plugs, the 2-pin plugs are not grounded. This type of plug is mainly used in Australia, New Zealand, China, and a few South American countries, like Argentina. 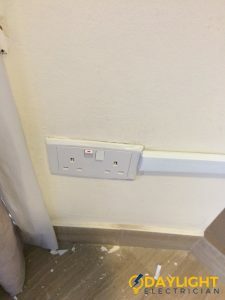 A Singapore electrical socket is unlikely to work if there is an opening in the circuit resulting from a poor power socket installation or age. As such, an open circuit can also result from a gap or break in the electrical wiring. This point in the circuit is where electricity cannot pass at all. The most common reason behind this is a loose wire, which can lead to several other electrical outlet failures. Electrical flow through the circuit is likely to be interrupted by a malfunctioning circuit breaker or a blown fuse. Remember that a circuit breaker trips and a fuse blows to prevent the overheating of electrical wires. When a large amount of electricity flows through a wire, the circuit will be overloaded and that is when the fuse melts. As a result, the connection will break and cause the circuit to fail. 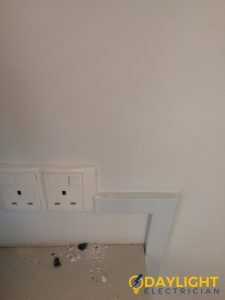 This is one of the most common reasons why a Singapore electrical socket stopped working. Short circuits can also cause circuit breakers to trip. 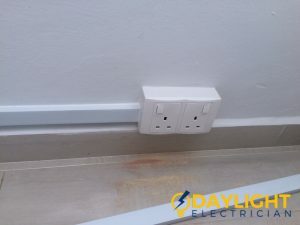 When short circuits occur, it cuts the flow of the current in the electrical wirings and causes a Singapore electrical socket to completely stop working. This occurs when a hot wire accidentally touches a ground wire, which then provides a path to the earth. It will then cause the electricity to run off the circuit, leading to the circuit breaker eventually tripping. A defective, corroded, or poorly installed electrical outlet can be a subject to malfunctioning. Nevertheless, these are quite cheap as well as easy to replace. 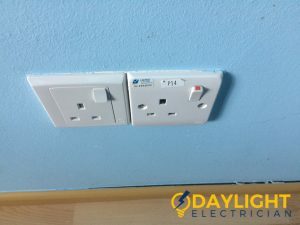 If you find that neither the triggered breaker box or the blown fuse is the reason behind the faulty outlet, then troubleshoot the Singapore electrical socket itself. 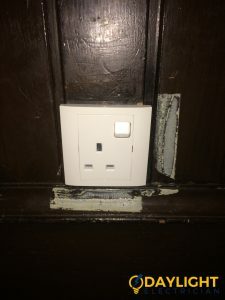 In this case, you should shut down the circuit where the outlet is connected. Just unscrew the outlet and make sure that the wires are properly linked. A wire nut connects two or more wires together and is designed to keep them securely covered. This protects any exposed wires that may lead to potential dangers. A licensed electrician may also use wire nuts to make a connection between electrical wirings. Utilizing them for anything else besides these reasons will cause various problems with the inner wiring and eventually lead to the Singapore electrical socket to stop working. Remember these things when you are about to install an electrical outlet. When talking about electrical wirings, there are two kinds of metal wires available namely, copper or aluminium. The copper is considered to be the stronger metal between these two. Hence, copper wiring is used for most electrical devices. While aluminium can also be used, this may lead to more complications. This is because aluminium is a brittle metal and has high resistance to electricity. 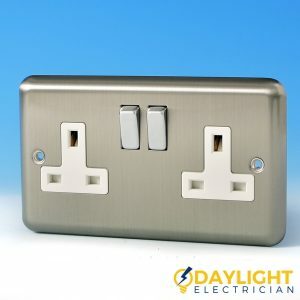 Therefore, if your home has aluminium wiring then it is also likely to create problems for you. A faulty electrical outlet needs to be replaced when it starts heating up or when a sudden spark appears when a plug is inserted. 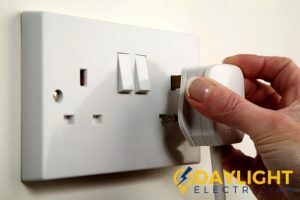 If you have trouble locating power points, then speak to us today to help you with your power socket installation. 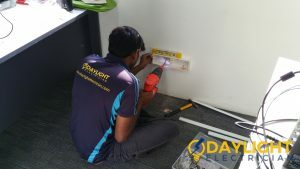 Daylight Electrician Singapore is your one-stop shop for all your power socket installation needs. We help you with installing new power points and repairing or rewiring existing power points. We will help you pick the right style of electrical outlet and provide you with an EMA-certified electrician within short notice to help you install it efficiently and courteously. Browse our variety of previous projects to know more about our electrical services. 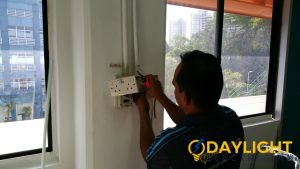 Daylight Electrician Singapore also offers emergency electrician services in the entire island. So for a fast response, call us today on +65 6653 6261 or email enquiry@daylightelectrician.com for a no-obligation consultation today.